July 15-19 | 9:00 a.m. – 1:00 p.m. 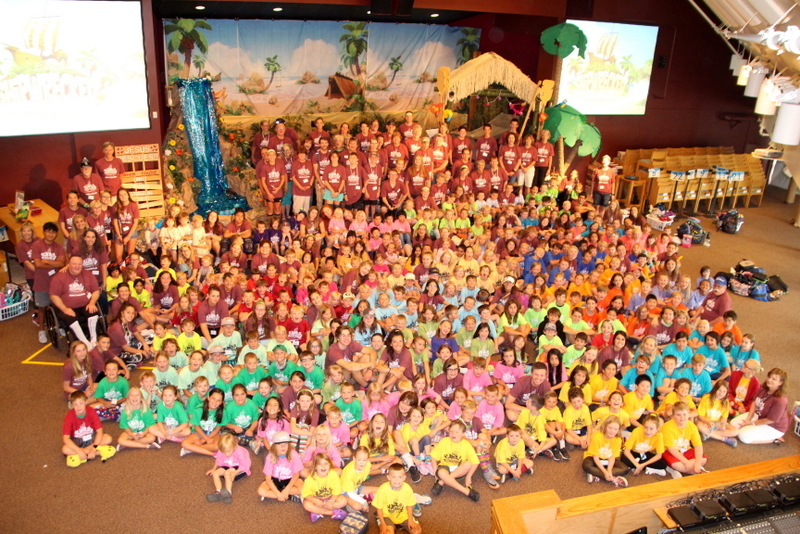 Welcome to Kids Camp 2019! Are you ready to ROAR?!? Kids will explore God’s goodness and celebrate a ferocious faith that powers them through this wild life. We are looking forward to sharing the love of Jesus with you and your family this summer. We expect registration to fill to capacity, so to to ensure a spot for your child, we encourage you and your friends to register early. Fifth and sixth grade registration is limited to 52 participants. This is the capacity we have to transport 5th & 6th graders to off-site service projects. Lunch: Your child must bring a lunch to camp each day. Please WRITE YOUR CHILD’S NAME on the lunch. You may send a water bottle, but it is not necessary. We have water stations for kids. Shirts: Your child will receive a shirt in a color that corresponds to their assigned group. Have your child wear this shirt each day. Sunscreen: Apply sunscreen to your child each day. Shoes: For your child’s safety, closed-toed shoes are recommended every day. Hike Day: On Thursday, the 1st-6th grade go on a short hike up the mesa. Tennis shoes or other appropriate hiking shoes are needed. Release Forms: Photo/medical releases must be read and accepted online by parent/guardian when you register. 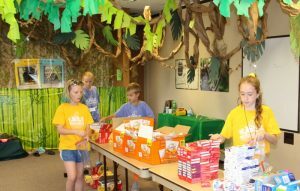 Service Project Permission: The 5th and 6th Grade Service Project Excursion Permission must be read and accepted online by parent/guardian when you register. 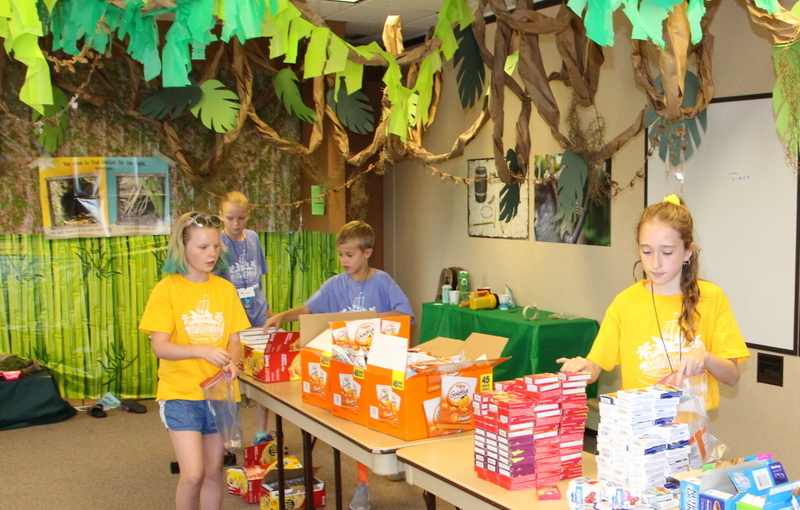 Fifth and sixth graders participate in off-site service projects on Tuesday and Wednesday of Kids Camp. This is an incredible opportunity for your kids to be the hands, feet and voice of Jesus in our community. As Kids Camp nears, parents will be notified where the projects are located. All project locations are within a 20 minute drive of Faith Lutheran Church. Your child will be transported in rental vans driven by adults over the age of 25 who have completed a required Volunteer Background Investigation and a Driving Record Check. Your student can participate in these projects ONLY if the required permission is granted. The safety of your children is of the utmost importance to us. We appreciate your understanding and patience with the process to ensure your children are safe and secure at all times. Talk to your children about this process as well, so they don’t leave the Worship Center without being properly checked out. Checking In: You check your child in each morning at the tables in the lobby. You will receive a check-out ticket with a number on it that is assigned to your child. This same number will be on the back of your child’s name tag they wear each day. Each child registered will have their own ticket. Please put this ticket in a safe place for the week. Checking Out: You will check your child out each day in the Worship Center. Your child will be in their assigned group. 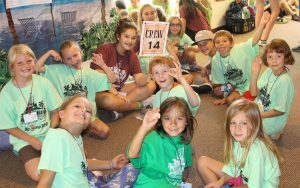 You will be required to present your check-out ticket to your child’s leader and they will ensure the number you present matches the number on their name tag. You will also be required to sign the check-out sheet to verify you have picked up your child. Can I request that my child be put in a group with their friends? Due to the complexity of organizing kids into groups, we can honor one friend request per child. We have three age groups: Pre/Kind, 1st-4th grade, and 5th-6th Your child will be placed in a group based on the grade they are entering in the fall. There is a spot on the registration form for you to request one friend to be placed in your group. Who do I contact for a scholarship? Contact Dee Ann at deeann@faithgolden.org. You will receive a confirmation email. If that doesn’t happen, please contact Dee Ann at deeann@faithgolden.org. If you paid through PayPal, you should receive an email receipt from PayPal within 24 hours. If you don’t receive the email, please check your PayPal account to verify. How do I pick up my kids early? You must go to the information table in the lobby with your numbered check-out ticket and they will send a runner to bring your child to you. What if I need someone else to pick up my kids? Whoever is picking up your child will need to have a numbered check-out ticket for your child or a photo of it on their phone from you. What if I lost/misplaced my pick-up tag for my child? You must go to the information table in the lobby to get a replacement check-out ticket. You will be asked to show your ID. There is a spot on the registration form for you to notify our team about your child’s allergies. Allergy lists will be given to team leaders and the Snack Coordinator. Your child’s name tag will also have their allergy information on it. If your child needs to have RX, emergency (ie. Epinephrine or asthma inhaler) and/or over-the-counter medication dispensed while they are at camp, you will need to complete a Medication Administration form on the first day of camp. We have a nurse on site each day of Kids Camp to handle any illness or injury. Parents will be contacted if needed.